Some people know at a very young age that they want to grow their family through adoption; others may not realize it until a specific child touches their heart. However the feeling comes, it’s one that will change your life forever. 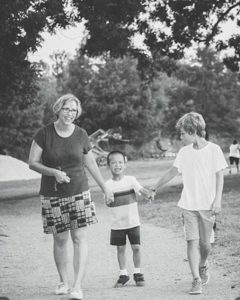 Here is a story that one of our adoptive moms shared with us about when she first realized that she wanted to adopt. 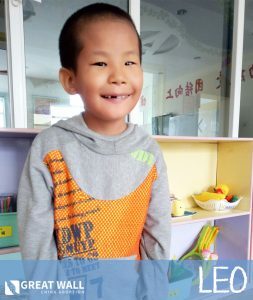 This family participated in GWCA’s Orphan Hosting program this past summer, and they are currently working their way through the adoption process. We are eager to continue following their journey as they work towards bringing sweet Jett into their family forever. I want to tell you how God introduced us to our youngest son. It started when I was a child. You see, I had asked for a pair of Asian dolls for my collection. My mother was surprised by my choice, but gave me the pair. They were my adopted children every time I played ‘house.’ I still have those dolls. My mother kept them safe until I became a mother myself. Adoption has always been on my heart, but I have three beautiful, wonderful children. I don’t have a need to adopt. As a teacher, there are often kids that I wish I could bring home, so I discussed fostering with my husband. He had reasonable concerns. God connected me with Amanda via the internet and a mutual love of dog rescue. Well, Amanda’s family hosted a precious little boy from China last Christmas. I followed as she helped him get medical evaluations and gave him a loving break from his orphanage. God spoke directly to my heart through that precious little boy. I talked to my wonderful hubby again. A short term host program seemed more manageable for us. We would advocate for an orphan from China. The first child mentioned to me by the agency was our sweet Jett. He was described as painfully shy. He had mobility issues. I worried that my boisterous family and playful dogs would terrify him. I said “no” to Jett and kept looking. God brought my heart back to Jett over and over again. Finally, we committed to hosting Jett. There is so much more to this story, but in the process of advocating, God showed each of us very clearly that this little boy belongs in our family. It is hard to explain the feeling when you look into the face of a child, not born from your body, but know without a doubt that God has made him your son. God loves you so much, Sweet Jett. He began preparing me for you when I was a young girl. He knew you then, even when you were not yet here on earth. He knew you would be our son. I can’t wait to bring you home! Your Baba, Brian Whitten, and I are working hard to make that happen as soon as possible. Contact our international matching specialists today to learn how you can begin your adoption journey!